Bob Samples was an independent scholar, artist, author, and visionary champion of natural and cultural systems in balance. His work over four decades took him throughout the world, and his books have been translated into several languages. Widely sought as a keynote speaker and lecturer, his intellect, insights and humor graced many stages through the years. His primary areas of contribution were focused on innovation in education, creativity, brain-mind design, learning styles, systems theory, and natural systems thinking. 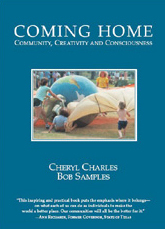 Bob Samples was author of numerous books and films, including the classics, The Metaphoric Mind, Mind of Our Mother, Open Mind/Whole Mind, Opening: A Primer for Self Actualization and his final, co-authored with Cheryl Charles, Coming Home: Community, Creativity and Consciousness. 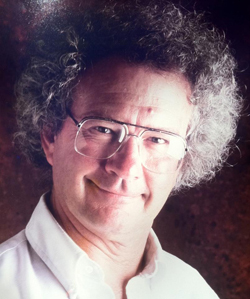 Trained as a natural scientist, Bob's work for the past four decades focused on enhancing creativity, respecting learners, and applying natural systems concepts to human affairs. Respected for his innovation and leadership, Bob served for many years as national director of National Science Foundation funded educational projects, including the landmark Environmental Studies for Urban Youth: ESSENTIA Project. Bob's writing and film work have received national awards and recognition. Among his most personally gratifying contributions, Bob was one of the earliest members of the Board of Advisors and Board of Trustees of John Denver's Windstar Foundation, serving in that role for many years, in his commitment to support of "Choices for a Healthy Future." Children today will enjoy a poem Bob wrote for John on the occasion of the birth of John’s daughter, Jesse Belle. John asked Bob if he could put it to music, which he did. It is on various of John’s CDs and tapes. Illustrated by Christopher Canyon, it is available as a children’s book. 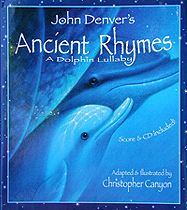 Look for John Denver’s Ancient Rhymes, lyrics and music by Bob Samples and John Denver, available from Dawn Publishing. As part of their commitment to the Windstar Foundation, Cheryl and Bob co-edited and co-designed the Windstar Journal. Bob Samples passed away on March 26, 2012, comfortably and peacefully at home after more than a decade of gracefully coping with the challenges of life with Parkinson's disease. Open Systems, Open Minds Reflections on consciousness and education.